* Gorgeous gold star mix (5 different types). 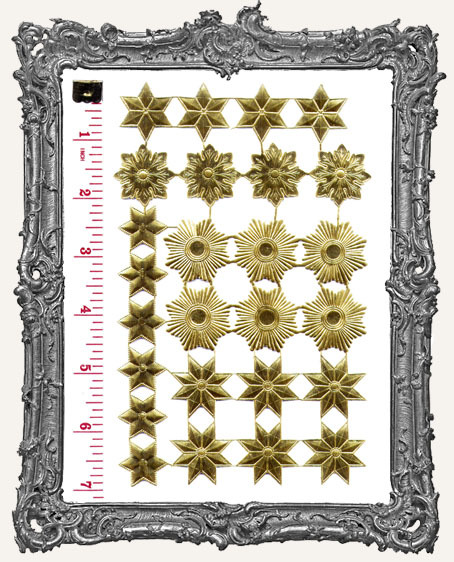 The largest star measures approximately 1-1/8" x 1-1/8" and the smallest measures 7/8" x 7/8". These have gold foil on the front and back.